Boys black, Jazz themed, cotton jersey t-shirt by Dolce & Gabbana. It has a ribbed jersey round neck with a raw edged jersey layer, and matching raw edges across the shoulders and down the sides. The arms and hem are top stitched in black thread. Dolce & Gabbana white bomber jacket with musical appliqué. 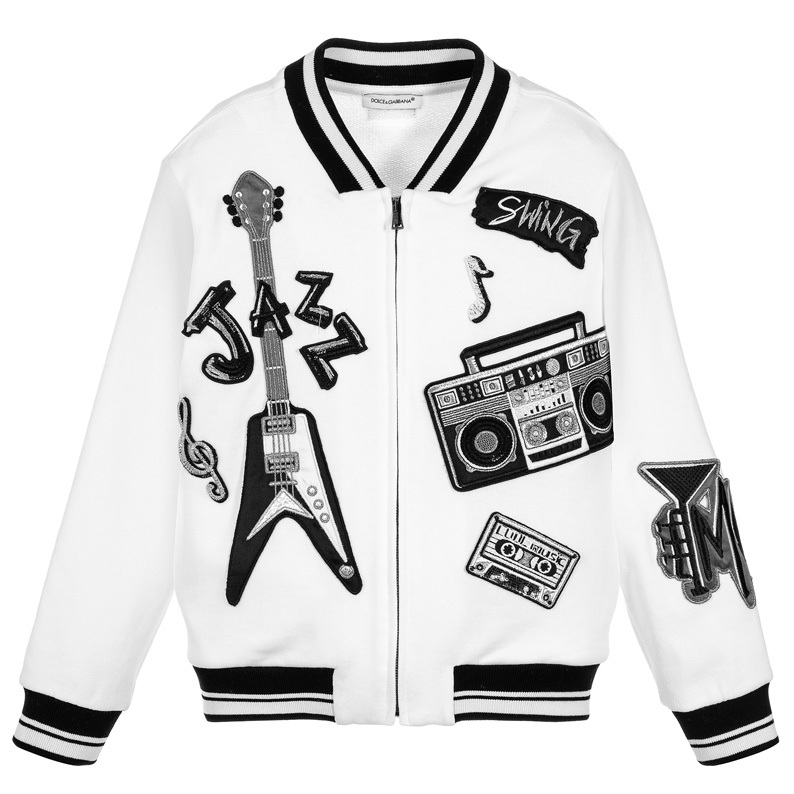 In a varsity style, this up-beat and groovy design is embroidered with an array of music-inspired themes, including an electric guitar, stereo, musical notes and references to jazz and swing. There is a front zip to fasten and side pockets. 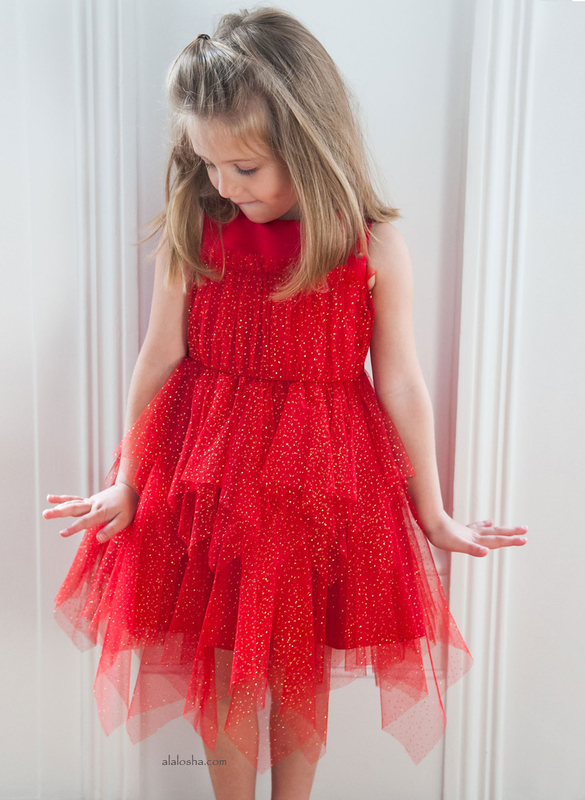 The collar, cuffs and hem are ribbed and stretchy. 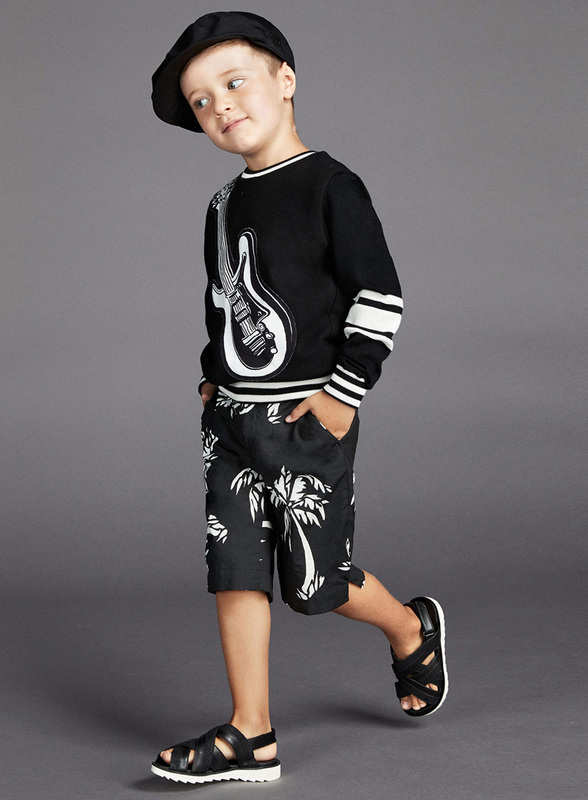 Boys black and white, Bermuda length shorts by Dolce & Gabbana, inspired by the designer's menswear palm leaves collection. These striking shorts have an adjustable, belt-looped waistband that fastens with a button and zip. Made in lightweight, smooth cotton, they are ideal for warmer days. 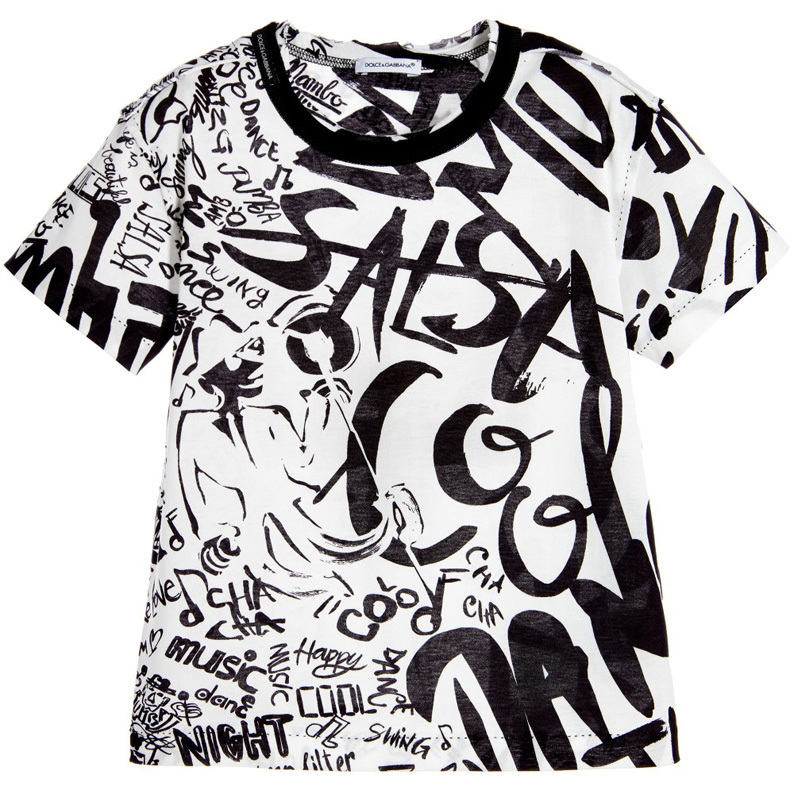 Boys white and black t-shirt by Dolce & Gabbana, with words on the front, such as 'Salsa, 'Music' and 'Cha Cha', inspired by jazz club musicians of the past. Made in soft, cotton jersey, the neckline has a raw edge and the designer's fabric logo tab sewn on the side.